Titanic 3D Efkan Zehir. 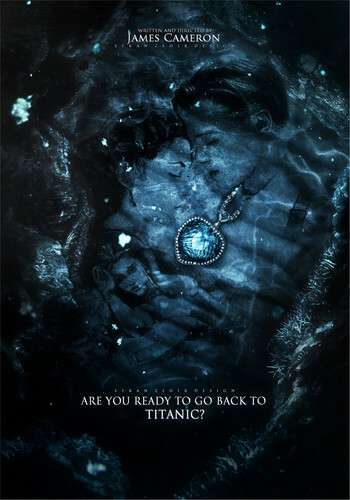 I made a new proffesional poster for "Titanic 3D", pls rate and comment :- ) Other poster of me, on my deviantArt page: . HD Wallpaper and background images in the Titanic club tagged: titanic 3d leonardo dicaprio kate winslet james cameron efkan zehir design 1997.
wow this is freaking awesome! well done! i wish i can makde so a wunderfull pic! I designed the poster as a memory, with more soul, what is hidden in the deep ocean. Jack n Rose looks young to me,but I love it. Good job.